Our trip to Hangzhou was oddly perfectly (un)planned… trying to save money on one nights lodging, we decided to take a slow train (7 hrs) and get sleepers on the train instead of taking the typical 3 hour ride from Nanjing to Hangzhou. We arrived Hangzhou at 4:30am… just enough time to go to West Lake (四湖）to see the mist over the lake and the sky a very deep blue color just before we watched the sunrise at 6am, and then saw the elderly start to wake up to walk, do tai-chi, stretch, and even scream as part of their morning rituals. We saw exercise groups too! 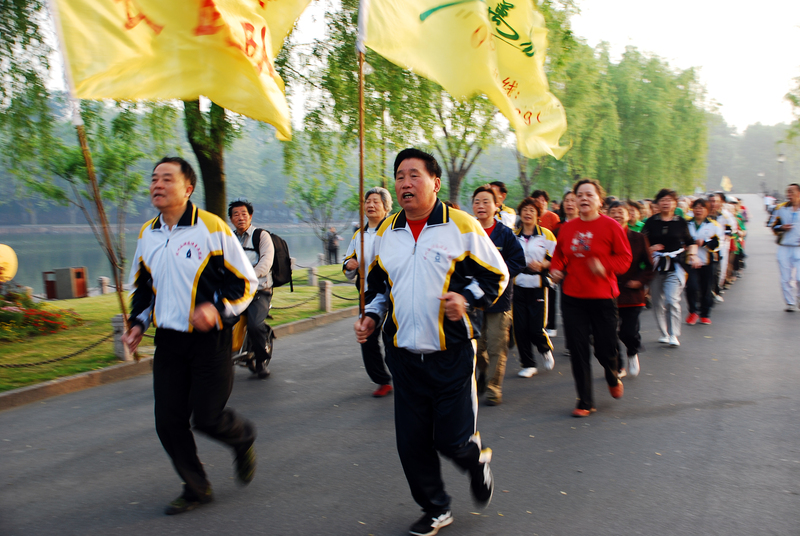 With their banners and heard of people marching or jogging to the same rhythm. 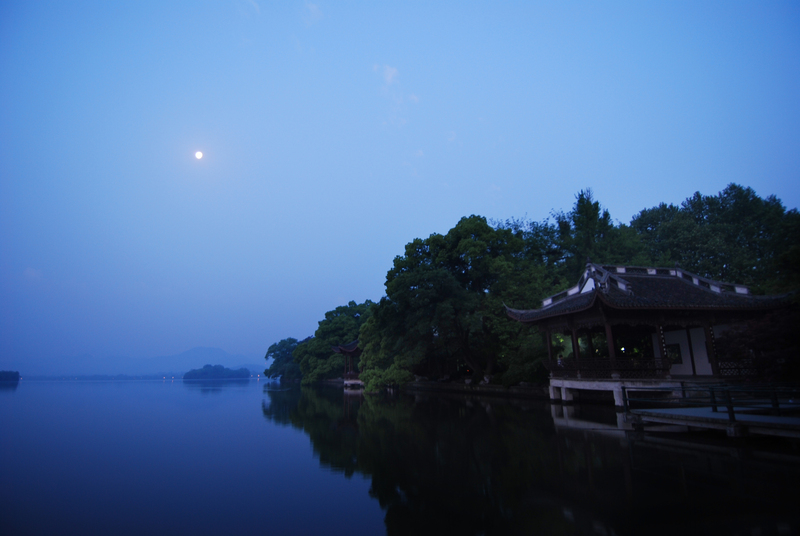 The whole experience among others in Hangzhou are indescribable. Oddly, I realized that many of my best photos were from the sunrise/sunset we enjoyed and I have much fewer photos from other parts of the trip which were more enjoyable for the experience itself. Like biking around 四湖 in the middle of night and getting lost on our way back to the hostel where we were staying, which should have taken 30 minutes, but instead took 3 hours! Though, there’s a totally fresh perspective on a place at night than during the day when there are crowds of other people around… I’m happy just thinking about it :) I totally understand why this is such an inspirational place for writers and artists.